» Mammut vs Arc’teryx Jackets – Which is the Best Jacket? Every winter if you are like me, you are probably thinking about the features and details in your jacket that you simply don’t love. You are likely to be wondering what jacket you should purchase next and exactly what features you should look for in a new jacket. Some people also think about the style, materials, where the jacket is produced, or even how the jacket is going to hold up. A jacket is a purchase that can last for years to come if you are able to find one that is high in both quality and production standards. Many people do not know where to begin when they are looking for the perfect new jacket. Two of the top brands for jackets are Mammut and Arc’teryx. This is because both of these brands pay attention to details that others seem to miss and both are made with the intention of the buyer being able to use the jacket for years to come. 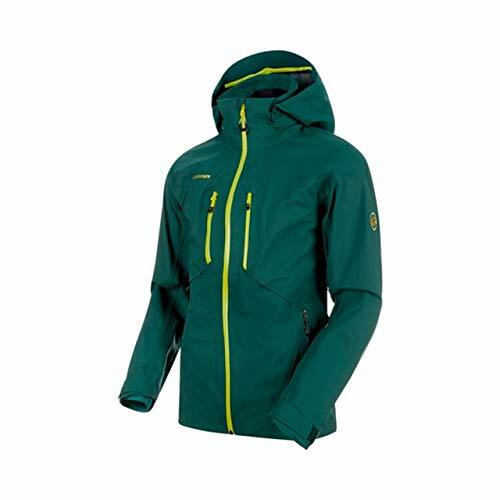 Mammut jackets have an expansive line of choices for anyone who is hoping to find the perfect new jacket. The company produces jackets for both men and women, but sadly they do not offer a children’s line. This means that while you can purchase yourself a jacket if you have children, you cannot purchase from the same line for your entire family. They offer jackets that are specific to activity as well. This means that you can find a jacket that is perfect for mountaineering, climbing, hiking, or skiing. Some of the jackets can work for multiple activities as well. Mammut has been around for a very long time. The company was founded in 1862 after Kaspar Tanner had finished a three-year rope making apprenticeship. He started working as a ropemaker in the Swiss town of Dintikon. When he moved there, he created Mammut. In 1943, the current Mammut logo was unveiled. Up until 1952, just a basic rope was made. However, in 1952 Mammut started making the first twisted nylon glacier rope. In 1964 Mammut made some headlines. With the Mammut-Dynamic which was the first rope to be certified by the UIAA, the international mountaineering organization. It was just fourteen years later in 1978 that the Gore-Tex Mammut jacket was introduced. This was the first jacket that was produced by the brand. It was marketed under the Altitude brand. In 1981, the Mammut collection was introduced, with a full line of clothing and a sleeping bag. Once again in 1984, Mammut was on the cutting edge of technology when they introduced the first ever softshell pants. These were innovative and worked great. That same year, the company unveiled an intense selection of climbing gear that worked with safety as well. Five years later in 1989, the company introduced backpacks. The company has been expanding their line and introducing unique and creative options for those interested in outdoor adventures ever since. 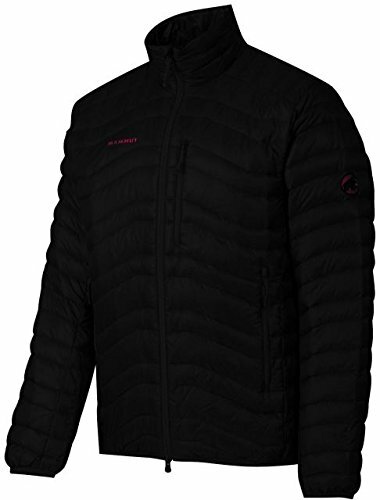 Today there is an ever expansive line of Mammut jackets for men. Here are some of our favorites and a little information about why we love them. While the $499 (Check out the latest rates here!) price tag might seem a bit excessive, the Stoney Hardshell Jacket for Men is one of the most innovative and best jackets on the market today. It comes in five exciting colors and is both windproof and waterproof. It is a highly acclaimed jacket for skiing, featuring everything that you will want while hitting the slopes. It features the Mammut DRYTechnology fabric that is not only great at keeping you dry, but it is flexible and moves with you when you are most active. It even has pockets that feature splash-proof zippers. In addition to their expansive men’s line of jackets, there is a wide range of jackets that are available for women as well. This means that any woman can find the jackets that they are looking for. The Nordwand Thermo Hooded Hardshell Insulation Jacket for Women is a great choice if you want to have a great jacket that is going to be super warm while offering you the protection that you are looking for. One of the best features of this jacket is the four-way stretch that allows you to move in all directions. This means that you can be as active as you like without your jacket making you feel as though you are restricted. Additionally, you get all of the newest technology that is going to keep you protected from the elements. Plus, there are drawstrings that allow you to adjust the fit to ensure that the jacket is fitting you perfectly. Sadly, Mammut does not currently make jackets for children. Junior high and high school-aged children will be able to purchase the smaller adult sizes, but that does not work for young children, toddlers, and infants. Many parents like to stay brand loyal and find that they prefer to purchase jackets for their children from the same brands that they wear. Mammut is a miss on this one. Today Mammut makes a wide range of products for those who are wanting to enjoy the great outdoors. They feature a full line of clothing, footwear, and equipment for men and women. They feature equipment and clothing that helps you to enjoy a wide range of activities from hiking and climbing to skiing and mountaineering. If you are going to engage in these activities you can find what you need with Mammut. Many professional athletes endorse Mammut products and share their own favorites and tips for use on the website. As with many high-end brands, Mammut offers a nice warranty on their products. As long as you purchased your item direct from Mammut or from an authorized retailer, you will be able to get it replaced if there is a product with the quality of the item. Even if the item’s original warranty has expired, you will find that the company often generously offers repairs or even replacement if it is determined to a be an issue resulting from the quality of the item or something that happened during production. Of course, if you are using the product improperly or if it were damaged in a fire or accident, it is not covered by the warranty. The warranty also does not cover normal or extensive wear and tear. The company does offer a professional repair service that is reasonably priced for when these types of things occur, so if your item can be fixed you never have to worry about being ripped off. The company does require that you wash items before sending them in to be examined. Make sure that you are only sending in clean items. Mammut will determine after inspection of the item if it can be replaced, repaired, or if you will receive a refund. In addition, they will determine if there is any fee to you and will consult with you prior to doing the repair if there is going to be a fee. To be able to get the item looked at, you simply take your item to the nearest retailer or Mammut store and they will accept it for inspection. Mammut products are made to last for years with the highest quality standards and attention to detail and design. Mammut jackets feature waterproof and weatherproof fabrics that are still easy to maneuver and move in. Mammut makes gear that is appropriate for a wide range of outdoor adventures. Mammut clothing is made to be comfortable. Mammut uses zippers that are leak proof, so the things that you secure in your pockets are going to stay dry when inside. Mammut features a wide range of innovations like special goggle pockets with a cleaning wipe included. Mammut products are not carried locally in most markets which makes trying on and seeing the product before purchasing almost impossible. Mammut products are made with weather in mind but are not always the best choice for those who are not active outdoor adventurers. Mammut does not feature products for the whole family as they only have men and women’s lines. 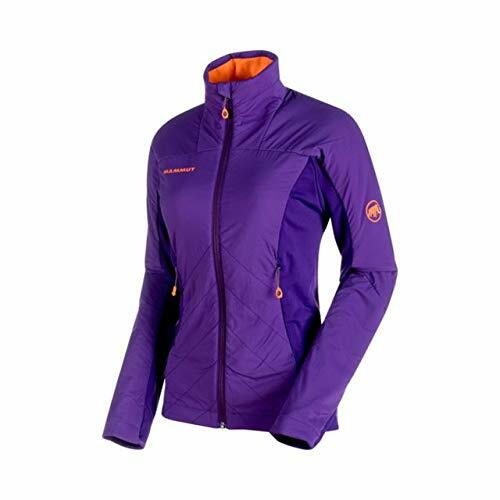 When you want to find a great jacket by Mammut you might wonder where you will be able to purchase one. Many online retailers carry the brand. The brand has its own online website that features a shop as well. Their website actually has great tips and pointers for how to fit your jacket as well as determining which jacket is going to be best to meet your personal needs. No matter what you want from a jacket, you are sure to find it through the website. 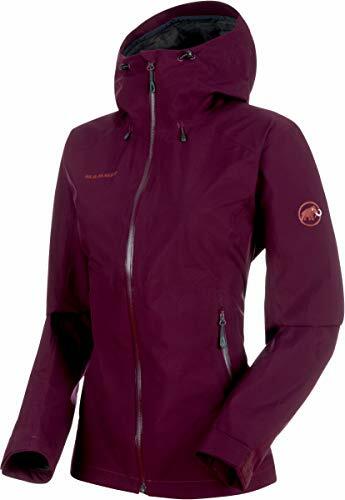 If you are looking for a bargain, some online discount retailers also offer Mammut but they usually feature a previous year’s color or design rather than the newest designs which you can get directly from Mammut. 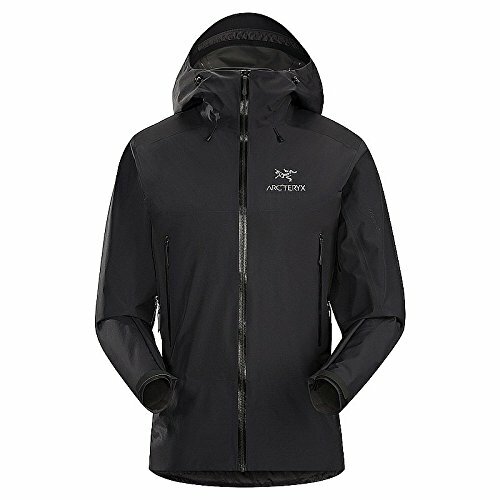 Arc’teryx offers a full range of jackets for the outdoor enthusiast. Another brand that features everything that the seasoned adventurer is looking for, Arc’teryx is a popular choice among veterans. The brand has been a popular choice for many years because of the attention to quality and the price point that is not going to break the bank. While not cheap, these products are a good price point for the high quality that you are purchasing and a much better value than many other brands that are of similar quality. One of the things that keep customers coming back is their extensive warranty. It actually covers the items that you purchase for life as long as the problems are due to normal wear and tear. Plus, filing a claim is easy and all you have to do is fill out an online form and follow the instructions to send your item back to the company. One of the things that make Arc’Teryx unique is that the company was formed in the wilderness of Canada with the wilderness always in mind. This was to ensure that the company produced the products that were needed and were to be used for the adventures that you could take in the area. One of the things that makes the company unique is that everything is designed and manufactured in house. This means that you never have to worry about whether or not you are going to get the top quality products that you need and have come to expect within the Arc’teryx brand. The products are made with the highest quality standards and are something that you will be able to use for years to come. Local climbers in North Vancouver, which sits at the foot of the North Shore mountains, founded Arc’teryx in 1989. The design center is one of the best places to be able to see the unique Arc’Teryx brand come to life. The brand was developed to be able to help you to enjoy any of the outdoor adventures that you want to enjoy. The products are developed with standards and unique things in mind. One of the things that Arc’teryx attempts to accomplish is simple answers to your biggest problems and concerns. Through creative innovations and practical designs, they are aiming to offer more to you than any other outdoor brand ever has before. If you want efficiency to play into your own experiences then this brand is sure to help you have the exact experiences that you are hoping for. The company has a goal to offer you the highest quality products that you can find on the market today. They want to offer you the products that are going to last a long time and will last long beyond the expectations that you would have for the item. Purchasing Arc’teryx items means that you are going to have a lot of high-quality items to choose from and that these items are going to last for a considerable amount of time. Arc’teryx creates the jackets that men want. There are a few different styles of jackets to choose from and with these jackets, you will be able to ensure that you stay warm and protected while being comfortable enough to get everything done. 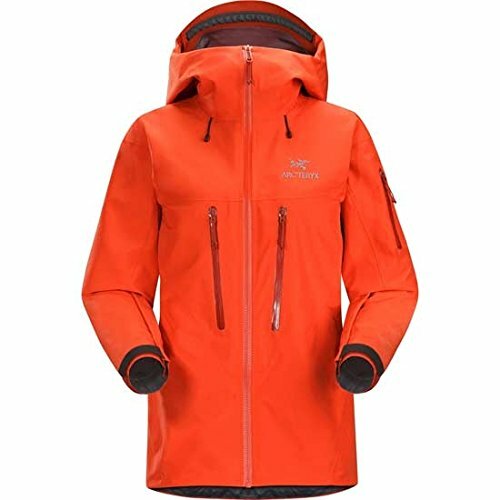 There are a wide range of styles and colors to choose from and many different types of shell jackets as well as a wide range of insulated jackets. One of the most appealing things about the Solano Jacket for Men is that it is a jacket that can be dressed up a little. Many athletic and practical jacket do not look nice enough to wear for work or when you are going somewhere nice. This is not the case with the Solano. This jacket comes in classic colors that are meant to look nice so that you can wear it to the office, out on the town for the night, but still, never feel that you are sacrificing what you want from a jacket for the style. This jacket allows you to be able to move and enjoy a number of outdoor activities. Women have the same need for jackets as men. Women look for jackets that are going to feature the style that they want while offering the features that they need for the weather that they are going to understand. Unfortunately, Arc’teryx has yet to create a line of jackets for children. This brand is known for its high-quality standards but parents might find it frustrating that they cannot purchase jackets or items for the entire family as they can with some other well-known brands that are favored in the outdoors. Arc’teryx makes a wide range of additional products that you should consider. Along with a full clothing line, they offer footwear, a wide range of packs and bags, gear, and accessories. You can find pretty much anything that you need to enjoy life outdoors in the elements when you are purchasing Arc’teryx products. These products are all made with high-quality standards and unique attention to detail. The Arc’teryx company has a nice warranty to consider. Arc’teryx offers a limited warranty on all products that they make. This warranty covers replacement or repair of the item at the company’s discretion. The warranty offers coverage through the reasonable lifespan of the products. However, if the products are misused, worn out from excessive wear and tear, have been misused or neglected, then the company will offer you the repairs for a reasonable price and compensation. This means that you can be assured that you are going to be able to use the products for a considerable amount of time and that you will be able to get them fixed if there are problems. In order to file a warranty claim, you need to first start a claim online. Then you have to follow the directions to ship the product back to Arc’teryx. You have to have a Return Authorization Number in order to return a product or have a product looked at. Without this number, the company cannot accept the product. In addition, you will want to ship with a method that includes tracking to ensure that the company receives the package and that it is not lost, stolen, or damaged in transit. Arc’teryx makes products that are made with comfort in mind and their products are known for being very comfortable. Many features are available that keep you protected while being comfortable. Plus, you can always move in the clothes. The products are lightweight which makes them easy to pack and travel with. They are great for traveling and perfect for those who are constantly on the go. Priced at a mid-point, Arc’teryx offers a great product for a valuable price. 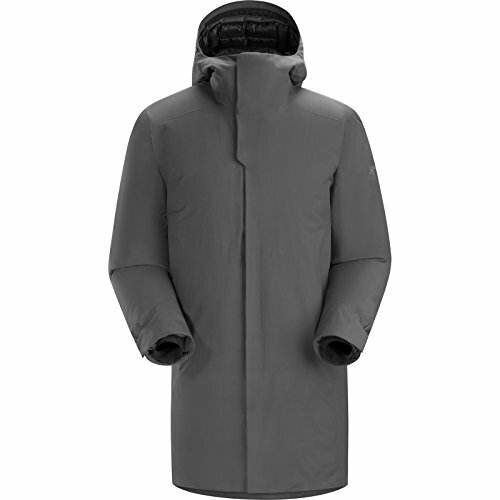 Arc’teryx has a wide range of features that are made to protect you from all elements and conditions. Arc’teryx makes products with the Lifestyle line, trail running, skiing, snowboarding, hiking, trekking, alpinism, and climbing. Arc’teryx offers free returns of unused products for any reason. Arc’teryx ships quickly and offers free expedited shipping so that you get your hands on your products quickly and easily. No children’s line which means that you can only purchase these products for the adults in your life. Not available in all markets, so you might have to order and ship back if the product does not fit how you want it to. Arc’teryx jackets are a great option for anyone who is interested in finding a great high-quality jacket or outdoor item. The clothing and other products are available through a wide range of online retailers and even some online discount retailers. 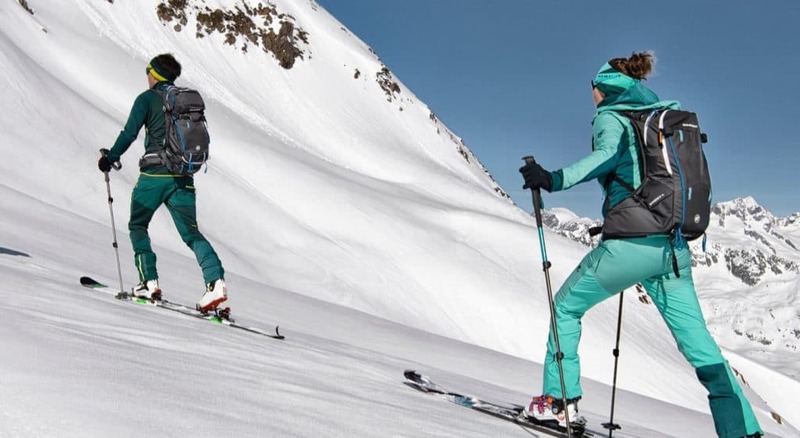 In addition, you can purchase directly from Arc’teryx who offer free expedited shipping and free returns which makes choosing the perfect jacket extra simple since you never have to worry about what will happen if it does not fit. Plus, there is a wide range of retailers who carry Arc’teryx products in their stores. Even some small sporting goods stores are able to be authorized sellers for this brand, which gives more people the opportunity to get their hands on the products to try them out. There are so many great things that you can say about both Mammut and Arc’teryx jackets. While the Mammut jacket that I own is nice, it is not favored as much as my Arc’teryx is. Additionally, the Arc’teryx is offered at a more reasonable price which makes it more popular and a better choice for many. In my personal experience, I have found a similar weighted and rated Arc’teryx products to be warmer and less expensive. This means that I am getting a better value because I am able to stay warm longer while still saving money. That being said, there are some features of the Mammut that I prefer like the glove warmers, but the fact that the jackets cost so much more means that I can allow my gloves to get a little cold before I put them on as once they are on my hands, they warm up. 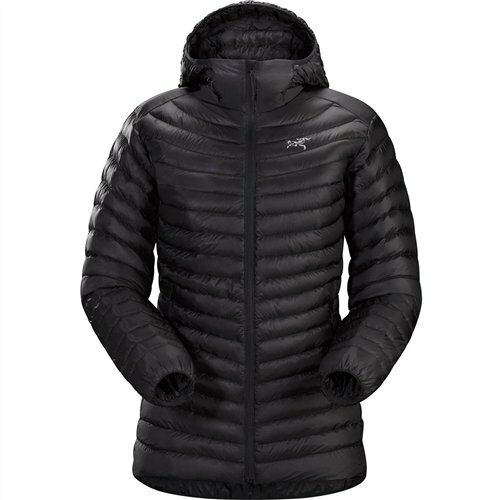 In addition, there are many things that I love about Arc’teryx and I think that these jackets are a great choice for anyone, men or women. One of the features that were a favorite of mine is that I do not get sweaty when I am wearing my Arc’teryx jacket. This means that the material breathes better and makes wearing the jacket more comfortable. With the Mammut jacket, there are times when you are more active that you might actually feel hot and sweaty, even if you are out in extremely cold temperatures. Anytime that I experience this I end up sick with at least a mild fever and cold. So, I prefer jackets that breathe better and Arc’teryx offers me that. The bottom line is that I prefer the Arc’teryx jackets. They do a better job of keeping me warm, offer the chance to breathe so I am never hot and sweaty and are even offered at a more affordable price. Plus, I feel like there are more options in styles and colors to choose from so I can literally find a jacket that I am going to love wearing regardless of the conditions or what I want the jacket for. I also appreciate knowing that the jackets are designed, manufactured, and tested in house. There are no third parties and my jacket is not shipping all over the world before coming to me. This means that as a consumer I am always getting the top quality product that I expect. In addition, I know that if there is a problem Arc’teryx has a great warranty system. Plus, when I order directly from them, the product arrives quickly and is shipped to me for free. If I try it on and do not love it, I can return it for a different product or even to get my money back for free and without hassle. All of these things really add up and have pretty much guaranteed that I will be purchasing Arc’teryx jackets for life. Of course, there are those who prefer Mammut jackets over the Arc’teryx brand. While this is not my preference, there are definitely a few reasons why you could like Mammut more.